My name is Nathan Ramsey, and I grew up on a farm outside a small town called Kaikohe in New Zealand - with my sister, two brothers, and Mum and Dad. I was homeschooled, so the majority of my life and mornings consisted of me getting up early and walking around our farm with my Dad shifting cattle. During these walks, I would witness the beauty of every sunrise over fog covered land that grew in me a love for the outdoors. Our family library was filled with National Geographic magazines and I would spend hours reading, captivated by the fantastic stories and photos of people that were in them. I think looking through the National Geographic magazines showed me how big and amazing the world is beyond what I had grown up around and grew in me a desire to capture and document new places and people. I went on to study at Whitecliffe college of art and design in 2010 and still reside in Auckland running my own business to this day. Although I love photography, in general I specialise in portraiture and landscape photography so if you like what you see feel free to get in touch to get a quote for a job, inquire about anything or just say high, please do so by filling out the contact form below I'll get back to you as soon as I can! If you like my style of photography, let’s set up a meeting! Getting together with clients is an important part of the whole photography process. I want to get to know you and your story, and talk about all the details you have planned - and most importantly - ensure we’re a good fit for each other. If meeting in person isn’t possible due to location, we can set up a Skype meeting or phone call. Ready to move forward? After our meeting, I’ll send over my contract which goes over the rest of the nitty gritty details of my services and we can discuss any lingering questions via email or phone call. You can then book me with a 30% reservation deposit. For an example contract click HERE. As soon as you have a timeline send it through to me as it’s important to be included in your plans to ensure we have the necessary time for all that you require and make sure your day goes as smoothly as possible. The more time I have, the more photos you’ll get and the more creative I can be with them. I’m more than happy to help with suggestions as you plan your timeline. On the day it will all start with me arriving early, getting acquainted with you and the location, setting up any required gear and then getting on with the day and whatever you require. I like to work as a team so a good environment and sharing ideas to get what you require make everything go that much smoother. Once everything is done I’ll spend the next few weeks sorting through your photos, picking the best ones to give you, editing and curating them in a way that I feel best suits your needs. Unless you have a specific deadline it will take somewhere around 6 - 8 weeks, you’ll get a digital download of all the edited images in high resolution format. If you require I can also send a keep sake bundle with a few complimentary prints and a flashdrive of all the edited photos. 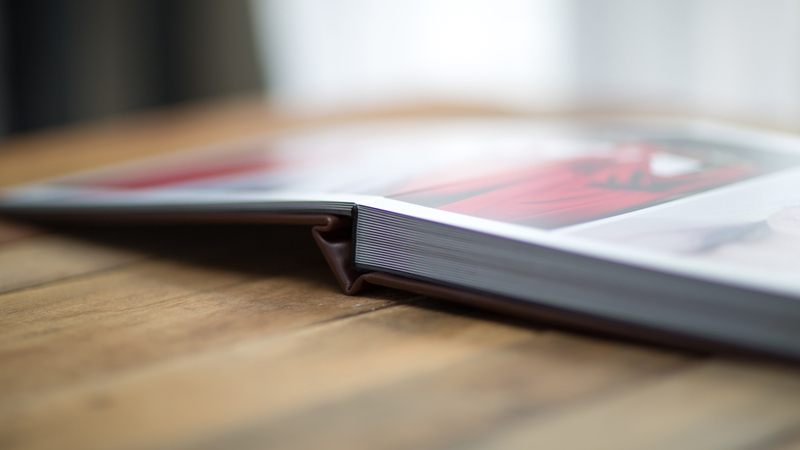 If you’re interested in additional products, I’d be more than happy to discuss that with you after the event as I can help with printing or even designing albums. I don't offer any printing directly to my clients, but if requested I'm more than happy to help you through the process of printing once you have an idea of what you want. I love to print and I have experience and contact with some great printers here in Auckland. So get in touch, and we can talk more about how you want your images printed. I've listed a few unique printing options below that aren't in your typical printing shop. These mediums produce amazing results that could showcase your favourite images in your home or business that will wow colleagues, friends and family. I often print on Birch Plywood because I love the natural feel of wood and the textures that come through from the grain onto the final printed image. This means that every image is unique and has slight differences that I love. All images are printed with Oce UV-curable pigmented ink and have a white undercoat that is printed on BirchPlywood. You can print on 12mm or 18mm Birch plywood. For my paper prints I print with Hahnemühle 308gsm photo rag paper. This is a 100% cotton paper with a smooth surface texture – guarantees archival standards. With its premium matt inkjet coating Photo Rag Bright White meets the highest industry standards regarding density, colour gamut, colour graduation and image sharpness while preserving the special touch and feel of genuine art paper. Once your event has happened you may want to make an album - I can help design them for you or just point you in the right direction so you can do it yourself. 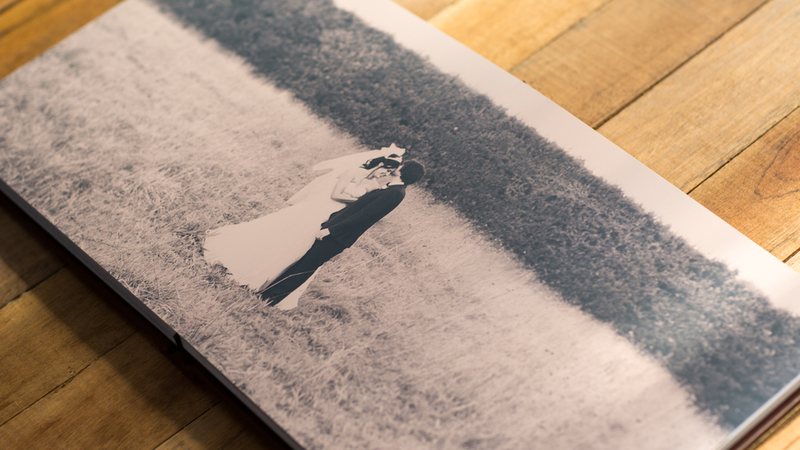 Below are examples from Andrew & Courtenay's wedding album I designed. 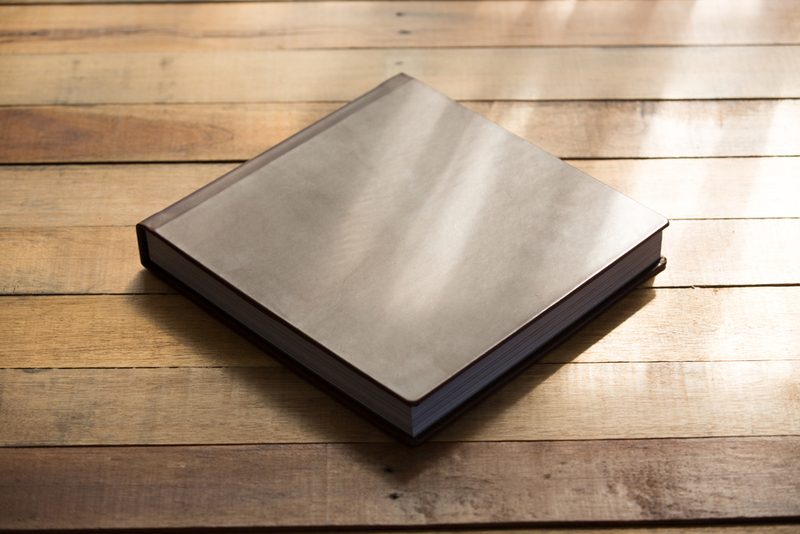 This is a 50 page 12x12" Genuine Leather bound album. No one job is the same so I can't give you an exact price, getting to know you is the best way for me to cater specifically to your needs. The details above should help give you a general idea of what my clients want to know but if you are wanting a quote just get in touch below and I'll respond as soon as I can. If you are located out of Auckland or out of New Zealand, I love to travel so please get in touch! We can talk all about what you are wanting over a skype call or email. To give you the most accurate quote please estimate the time you will require me to start photographing. Please estimate what time you would expect me to end photographing your event. One photographer is great, but for such occasions as weddings where moments can happen so quickly, two photographers are best and highly recommended! 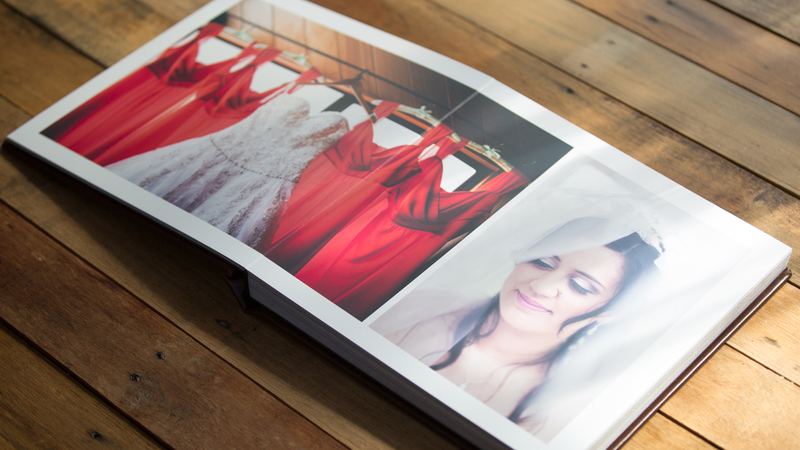 Once photos have been captured they will be edited and delivered to you by an online gallery. 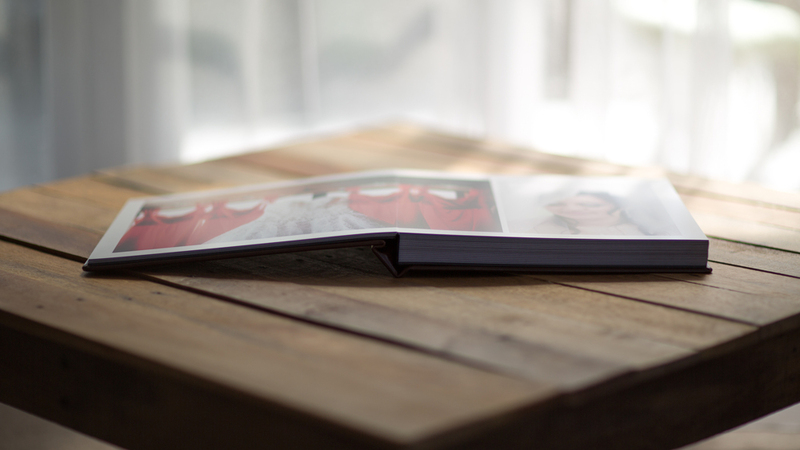 You can also have an option of a little extra package sent to you with a USB of all the photos and 50 6x4" photos by Queensberry (extra cost). Please feel free to let me know as much information as possible about what you are thinking for your event. Thank you! I will be in touch in the next few days with a quote.